Malô means “rice” in Bambara, a lingua franca in West Africa, where Salif and his brother Mohamed have formed their company. The brothers envision revolutionizing the rice market in Mali, to help farmers earn a living wage, and to help the people of Mali – especially women of childbearing age and children – receive the nutrients and sustenance they desperately need. Are you in business, or still planning? Still planning, but getting there. We (my brother and I) were both on the ground together for about 6 months in Mali, meeting with a lot of stakeholders and building partnerships. The harvest is typically November-January. We spent that time building our knowledge and shadowing farmers. I am in the US now to touch base with our partners and investors, put together term sheets, and attend conferences (including WJF!). In the next 3-4 weeks we should be selling about 5 tons of fortified rice for the initial market introduction component of our proof of concept. 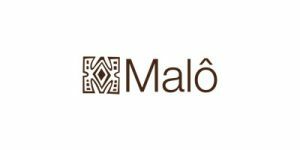 We are also in the process of rebranding, from Malo Traders, to Malô. The current team is my brother and me. On the ground in Mali, we also have 3 interns that help us do the farmer and customer surveys, and we’re looking to hire one of them full time. Our biggest staffing need will be to get a Chief Operating Officer. We want someone who has experience doing business in Africa, preferably someone with an engineering background who has experience running relatively large plants and facilities. There is a lack of nutrition and food in Mali – it has one of the worst infant mortality rates in the world due to malnutrition among women and children. But Mali has enormous potential to be a rice powerhouse and help feed the rest of the world. There are more people in the greater Los Angeles area than in all of Mali and with the huge land and water resources we have available, its doable. We are committed to tackling food insecurity and malnutrition. That is something that has been a part of our family for a long time. In 2008 – 2009 there was the global food crisis that fostered riots and political instability all over the world. That got my attention as someone who studies political science, and my brother’s attention as someone who studies business. Together, we began investigating the problem in Mali. Our mission statement is, “Malô creates and sells affordable and culturally appropriate rice-based products that enhance the health of mothers, children and the planet.” We will buy the rice harvest from farmers on time at a fair price. From there, we will process and store the rice using improved technology to minimize environmental damage and waste. We will also fortify the rice with much needed vitamins and minerals using Ultra Rice® technology developed by PATH, a Seattle-based NGO. And we will ensure that the rice is distributed at a fair price to urban consumers and especially to families with expectant mothers and young children. Has the William James Foundation Competition and Mentoring Program helped you along your way? Yes. The [WJF] feedback by far is the most comprehensive, detailed feedback we’ve had, and we have participated in a lot of competitions. And the fact that judges are willing to have you follow up with them is great. Is there anything else you’d like the William James Foundation Community to know? Even though I am political scientist that studies political stability and conflict, I really don’t know where the political situation in Mali is headed right now (following the March 2012 coup). That is the honest answer. But it has made our case for Malô’s potential social impact better than we could make it. It’s validated a lot of our fears of what could happen if the status quo was not improved in Mali. From a business standpoint as well, people still have to eat. There’s still a business opportunity there. We’re definitely going to pursue this. To succeed we’re going to need as much support, and as many champions, as possible.